Spring is officially here, which means so is my Anual Spring Sale! For a limited time, you can save 15% off any online personal training package. Each training package includes a customized Diet, Weight Training, Cardio, Core, Supplement Routine, with unlimited support. Like every month, training slots are limited. The reason I offer just a set amount of training slots each month is to make sure I’m available to provide enough personal attention to each client to help them reach their goals. 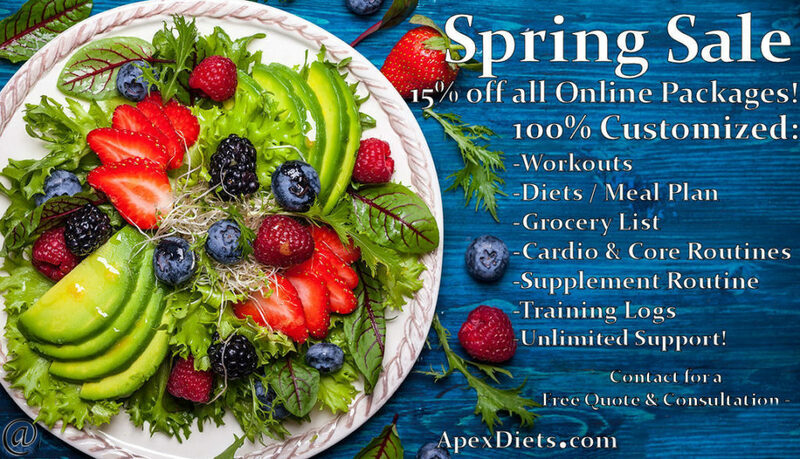 If you’re interested in becoming a client, feel free to contact me directly for a free quote & consultation: Dave@ApexContestPrep.com. 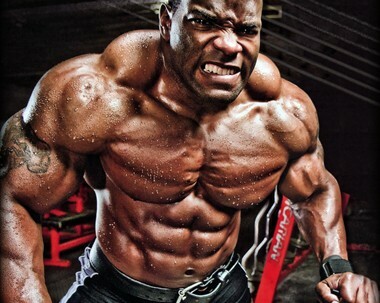 I will respond back with pricing and a detailed breakdown of the training packages I offer. If you are motivated to get in shape and can follow my instructions, I can definitely get you there and have the track record to prove it! If you’re in New York, NY – Check out my clients Café, Skinny Buddha. 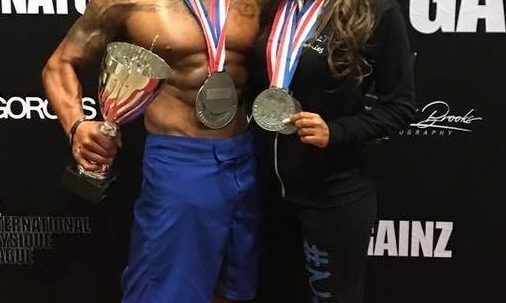 Congrats to 3 clients that competed this weekend – All pulled off top 3 placings, with a pro card earned and 2x division 1st place wins! Thank you Bill Romanowski (4x super bowl champ) for Nutrition53 care package! Congrats to Online Client Maranda (Mother of 3) 1st place in her first bikini competition! Should you lockout your knees on Leg Press?